The Zetter Townhouse is a quirky Georgian townhouse hotel located on a picturesque cobbled square in Clerkenwell, London. With an award-winning cocktail lounge and free WiFi access for all guests, the property also offers complimentary bike hire. A 6-minute stroll from Farringdon Train Station, St. Paul's Cathedral is just a 14-minute walk away. 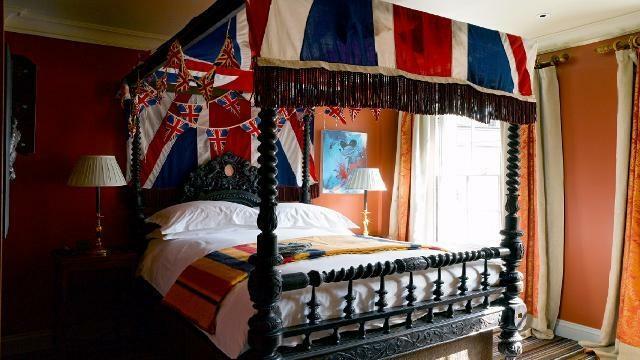 The Zetter Townhouse has 13 uniquely-styled, air conditioned bedrooms, which feature a gourmet snack tray, complimentary still and sparkling spring water, tea and coffee making facilities, a flat screen TV and a hairdryer. The en suite bathrooms, some of which have a freestanding bath, offer REN products, a raindance shower, bathrobes and slippers. The Zetter Townhouse provides 24-hour room service and has a 24-hour front desk. Other facilities offered at the property include meeting facilities, luggage storage and dry cleaning. The property is less than a mile from the Barbican Centre and The Gherkin is 1.4 miles away. The British Museum is 23 minutes' walk away. Is The Zetter Townhouse your business?